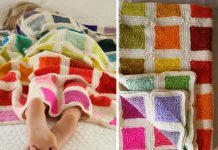 This Dream Blanket Crochet Free Pattern is a colorful and decorative pattern that’s perfect for the couch or bed. Make one now with the free pattern provided by the link below. The details in this blanket are precise and beautiful, adding a decorative touch to these blankets. 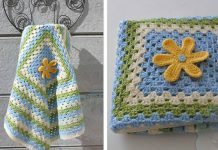 The color transitions in this blanket are really nice and you can choose the different colors to make this blanket. 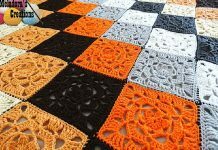 Thanks Sophie for sharing this free crocheting pattern. The link for the free pattern is provided below photo. Happy crocheting.